Arthur is an Executive Vice President at Cassidy and Associates and is well known for his extensive network of relationships throughout high levels of government, politics, business and non-profits. He works with clients to advance their objectives by providing the strategic advice and connections needed to position their issues for success. Over his career at Cassidy & Associates, he has served a wide variety of clients including corporate giants, entrepreneurial start-ups, name brand retail products, large healthcare systems, and premier educational institutions. 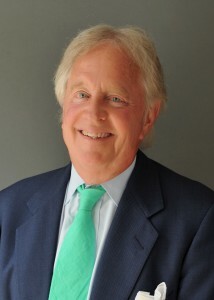 A popular and entertaining speaker, Arthur is frequently asked to address organizations on “What’s Happening in Washington.” The diversity of his experience and expertise provides a unique viewpoint that cuts to the core of legislative and political issues. He has served as a guest lecturer on contemporary politics at American University. He has moderated panels for the intelligence community and authored an article on the landscape of challenges facing Congress during an election year. A native of Brookline, Massachusetts, Arthur was a member of the United States Army and served in the infantry as a first lieutenant and captain in Vietnam. While a company commander, he was awarded the Silver Star for Gallantry in Action, the Bronze Star, three Air Medals, a Valorous Unit Citation, and numerous other declarations.